It has never been done. There has NEVER been a vaccine against a parasite, any parasite. On the other hand, making a vaccine against a virus is difficult, but at least the general process is known. The researchers working on a vaccine against the malaria parasite are climbing one big hill. 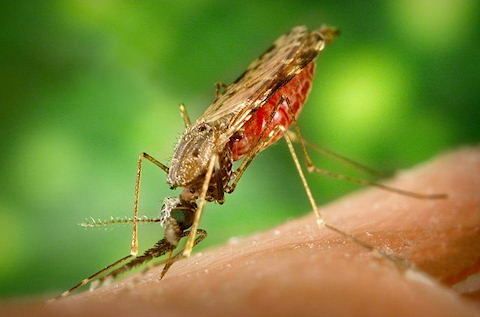 A few weeks ago, I blogged about a very promising research trial of a malaria vaccine. Now, researchers taking a different track have had very promising laboratory results. Malaria causes many more deaths worldwide than HIV/AIDS. Each year 225 million people contract malaria and 781,000 die. Most of the deaths are among young children and 90% of the deaths happen in Africa.Most families in people groups without the Scriptures in Africa will have lost at least one child, niece, or nephew to malaria. National Bible translators lose days of work each year treating their children for malaria. Working among the bibleless peoples of Africa, one cannot avoid the constant and sometimes deadly impact of the disease. We hare here to give people the Scriptures in their heart language, but we cannot ignore the other difficulties they face. You might not have a lot of money or expertise to throw into the fight against malaria, but you can do things that will be good for them – and for you! Give a sacrifice of praise for the progress being made. Pray for all the needs of the peoples still without God’s Word in their heart languages. Fight narcissism. Be happy about something that does not help you or anyone you know. Pray for something that cannot help you or anyone you know. This entry was posted in Christianity, Faith now, Health, Religion and tagged malaria, rejoice, rejoicing. Bookmark the permalink.